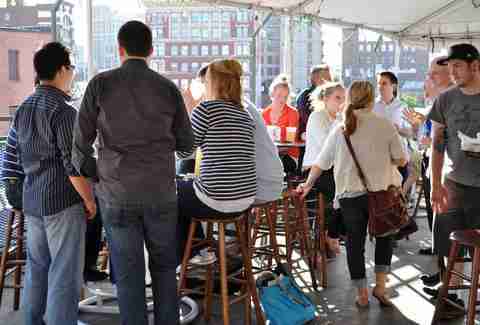 Outdoor drinking season is finally upon us, and it’s time to celebrate that fact with seasonal happy hours, sunny weekend brunches, and day drinking adventures. 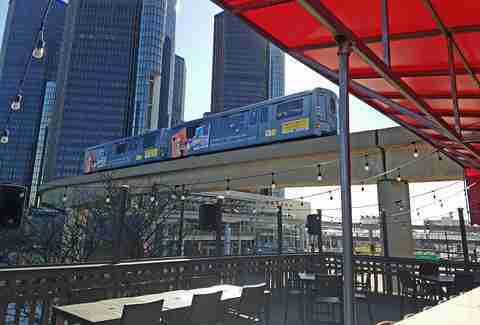 Thankfully, Detroit is home to more than a few rooftop patios prime for sipping (or even eating) in the sun. 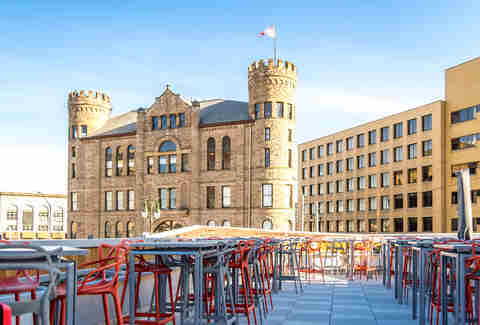 Get out and enjoy a birds-eye view of the city at these rooftop favorites, but don’t wait too long -- we only have a few months of pleasant Michigan weather ahead of us. Kick back and enjoy a Whango Mango surrounded by views of Detroit’s historic Rivertown district. 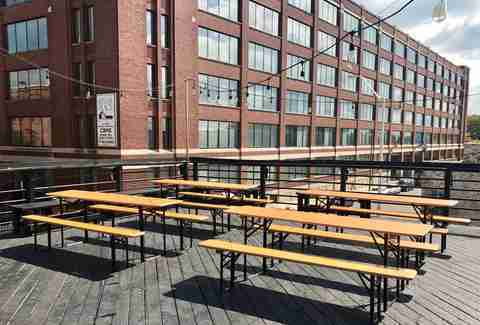 This renowned brewery expanded its original location in 2017 with the addition of its rooftop Biergarten. Its relaxed atmosphere and communal seating make the European-inspired patio a go-to spot for snacking and sipping in the sun with friends. Looking over Beacon Park and the Grand Army of the Republic Building, Lumen Detroit might just have the best view of the city. 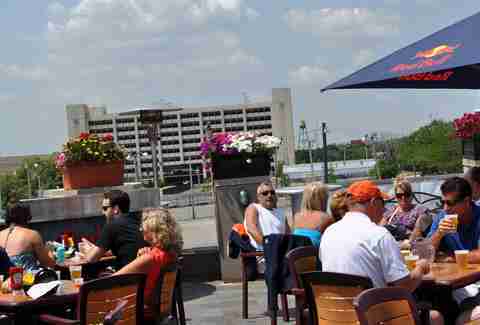 The crown jewel of the esteemed downtown restaurant is its 45-seat rooftop patio surrounded by a sustainable garden. Considering its robust beer menu and full bar, paired with the sounds of free summer concerts in the park, it's the perfect location for an upscale evening out with friends. 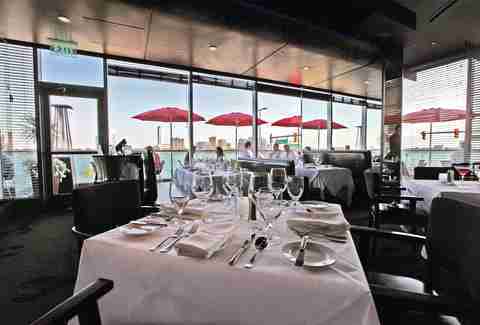 Located in the GMRENCEN on the Detroit River, this classic Detroit restaurant has won numerous awards for its seafood and service. In the summer months, the outdoor patio opens above the hustling street below, creating a waterfront oasis on the edge of downtown. Easily the most formal dining destination on the list, it’s a prime choice for celebrating special occasions in the summer. Ditch the flip flops for some fancy closed-toe shoes -- there's a strictly enforced dress code, and you don't wanna be stuck on the sidewalk. For those looking for a serious summertime party, look no further. This welcoming Detroit sports bar features almost two dozen beers on tap, boozy slushies, DJs, and live music on the weekends (as well as the occasional foam party). 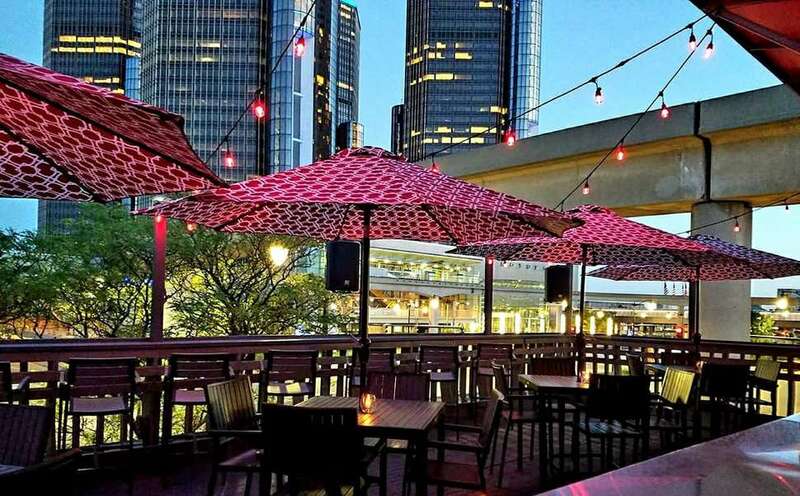 Located right outside of Hart Plaza, Brigg’s offers a gorgeous view of downtown from its outdoor patio, The Skybox; keep an eye out for their special summer events during Movement weekend and Motor City Pride. 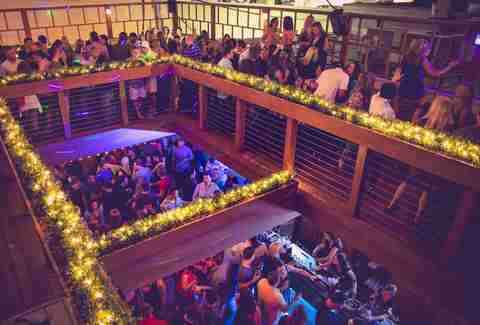 Bookies offers three levels of fun and shenanigans, including a spacious rooftop bar. It isn't necessarily the best spot in Detroit for the views, but that's not why you came here. Whether you're here to catch the shuttle to Comerica Park, watch the game on the big screen, or catch a live band on the third floor, Bookies is definitely a solid party bar. Located seven stories up on the rooftop of the Music Hall Center for the Performing Arts, the 3Fifty Terrace's 360-degree view of Downtown overlooks Detroit landmarks like Comerica Park, the Detroit Athletic Club, and the Broderick Tower, with the stoplight-red neon Music Hall sign providing the backlight. It is a nightclub though, so, you know... nightclub stuff is goin' on. 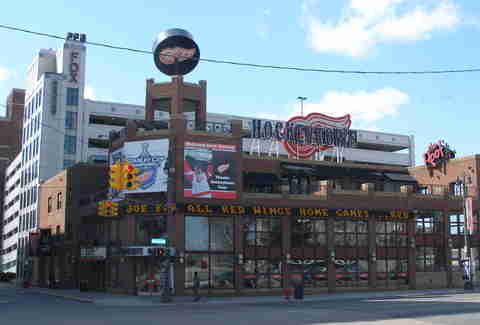 While not exactly “hip,” Hockeytown Café is popular with the sports crowds, and with a name like "Hockeytown Café," well... know your audience. There is much to recommend it as far as sports bars go -- it's huge, clean, and not frequently overcrowded, and, per the theme of all the bars we've mentioned, also has a rooftop patio. This one overlooks Woodward Ave and the Comerica parking lot. 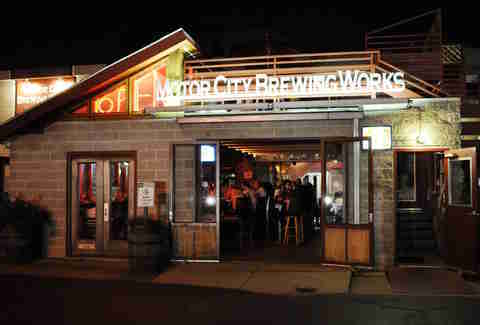 It can be hard to find a spot on the rooftop patio at Motor City Brewing Works during the warm months, but it's well worth it when you do. The vibe is super-laid-back, and it’s a great place for a few beers and a tasty pizza. There's no shortage of places to party in Greektown, but Level Two certainly stakes a strong claim with its two-level indoor and outdoor bars, which include a spacious, covered rooftop patio bar overlooking the action on Monroe St. Where else can you enjoy a lamb gyro and bottle service -- complete with sparklers? Lexi Trimpe is a Thrillist contributor. Nicole Rupersburg is looking for invites to private parties at the M@@@@@@d!$0N this summer. Hit her up on IG @eatsdrinksandleaves because she will probably ignore all other efforts to contact her via social media, even if she’s friends with you. Actually, she’ll probably ignore you on IG too. You know what, n/m.